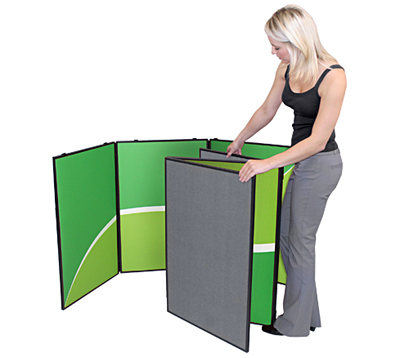 This custom made Folding Panel Display folds up for easy travel. 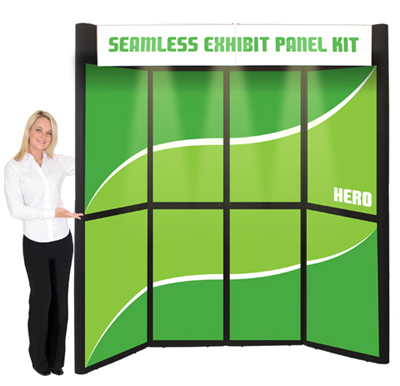 8 panels plus 2 header panels, this Panel Display is sure to be a success in retail or tradeshow environments. Unique 2″ radius curved ends lend a polished appearance. The Full height units can also be used as two tabletop units. Optional detachable graphics available. Also available in a varity of fabric color. A great Panel Display choice.